So, you say you want a cream puff? 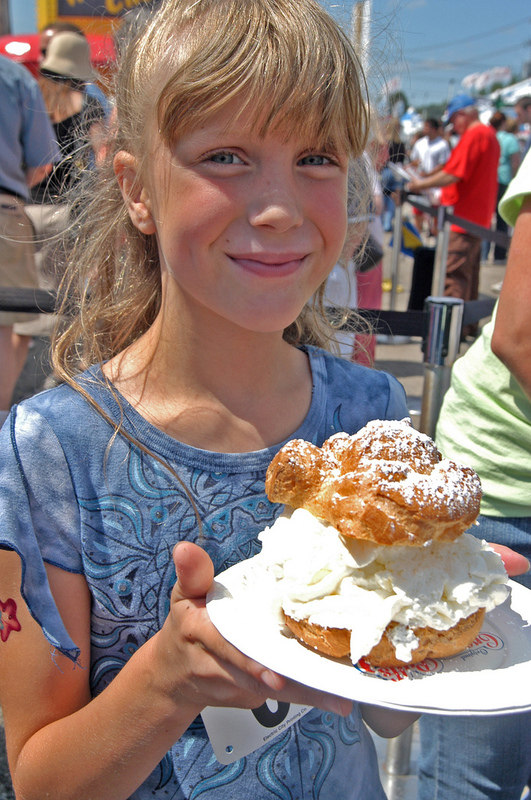 The Wisconsin State Fair is home to the “Original Cream Puff” which has been around since 1924. According to the fair’s website, an average of 350,000 of them are consumed each year at the Wisconsin State Fair. 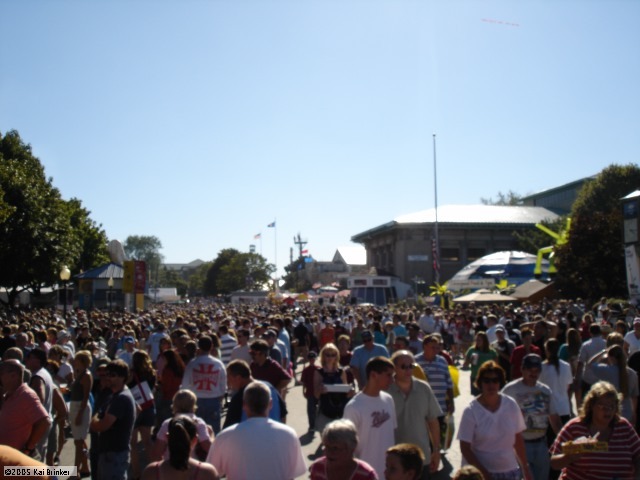 With over a million people attending, Wisconsin’s state fair is one of the biggest in the state fair happy Midwest. If you are looking for a thrill, you can head to “Spincity” where you’ll find over 50 different rides for people of all ages. Also, be sure to grab a potato sack and jump on the 200 foot giant slide, a Wisconsin State Fair tradition. Midway: check. Fireworks: check. Camel rides: check. Old Familiar Beard Bash Competition:…..check! In the realm of wild and wacky state fair competitions, the Old Familiar Beard Bash Competition rules the roost. Each year, men (and women) flock to the Ohio State Fair to determine who has the best facial follicles of them all. Also, be one of the 500,000 people each year to check out the life-sized butter sculptures. When you’re done, check out the pig races held 4 times daily (5 on weekends). Speaking of butter sculptures, the Iowa State Fair boasts the “World Famous Butter Cow,” an 8 foot long, 600 pound…well…butter cow. According to the fair’s website, that much butter can be used to butter 19,200 slices of toast, enough to take the average person over two lifetimes to eat. Be sure to check out 2013’s best new food winner, the Shrimp Corn Dog. 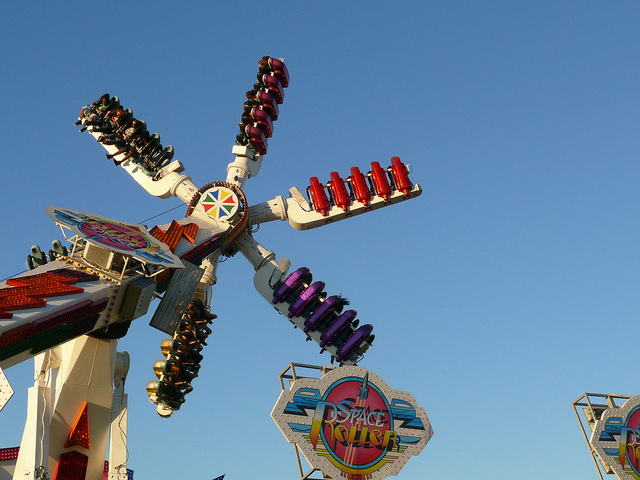 Then take a ride high above the fairgrounds on the Sky Glider while whistling the theme from “State Fair”, the 1945 Rodgers and Hammerstein musical set at the Iowa State Fair. 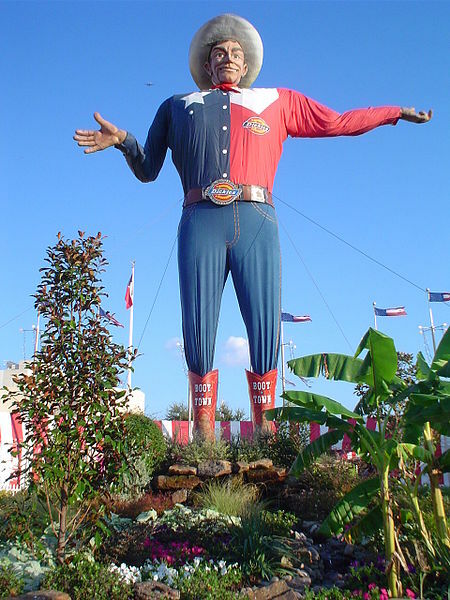 You’ve heard that “Everything’s bigger in Texas”…and that apparently includes state fairs. 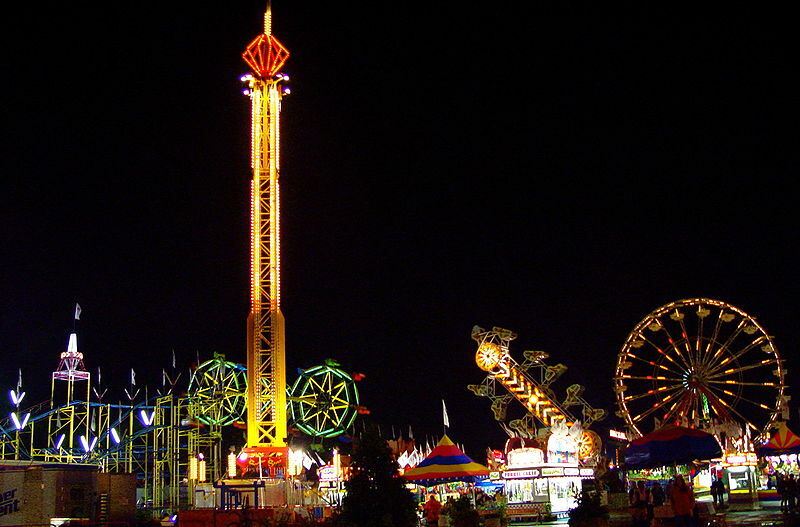 The State fair of Texas is America’s most widely attended state fair, with almost 2.6 million visitors in 2013. While you are there, you will enjoy approximately 100 daily live musical performances at “The Great Texas Tradition.” You can also check out the BMX stunt bike show. And no journey to Texas would be complete without getting a taste of some Texas BBQ and chili. Oh, and did we mention that Cotton Bowl Stadium – one of the most iconic stadiums in college football – sits in the middle of Fair Park? Just try to top that you other 49 states! Although it may rank second in size and total number of visitors, the Minnesota State Fair is the king of state fairs on our list. At about 1.75 million visitors per year – about one-third of the population of the entire state – the “Great Minnesota Get-Together” is truly a unique statewide event. Complete with butter sculptures, Pirate Tag, sky rides, and wonderful midway, this giant fair is something that you can’t miss. The fair is filled with acres of agricultural barns and exhibits. Check out the live birthing center where you can watch the miracle of birth over 2oo times with calves, lambs, piglets, and even goats. Are you looking for good eats? You’ll find just about anything you can think of fried and on a stick (including a breakfast sausage corn dog), and you can wash it down with a free glass of cold milk in the dairy exhibit. And, even though its summer, you can still do a little “ice” skating on the synthetic ice rink. It is Minnesota, after all – don’t ‘cha know! 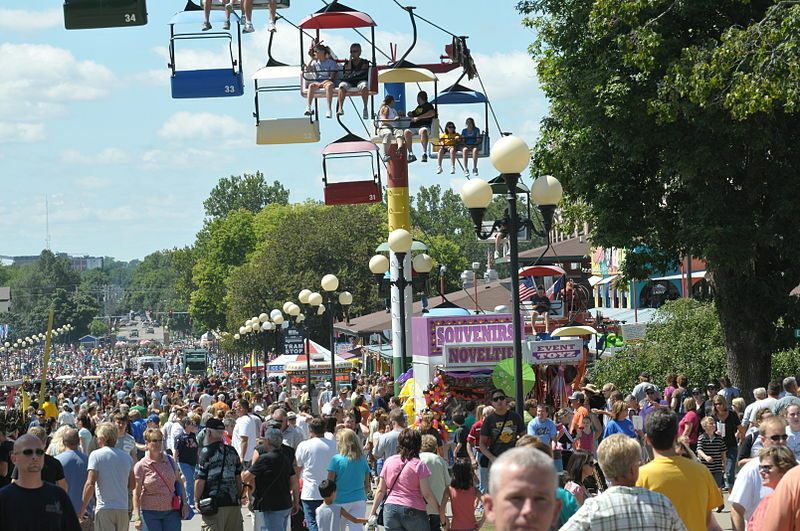 Woohoo thanks for recognizing Minnesota as the top State Fair! I was going to write an angry comment if you ranked it anywhere other than first 😉 It truly is a great event. I’ve gone every year since I can remember. You betcha! It is a spectacular event. I loved going there growing up, and I still love going as an adult – although it has been a few years. Minnesota is definitely #1. I used to go every year, but now only once every few years. If you go, be sure to get discount tickets, and a free shuttle to the fair. I totally agree that it is #1. Thanks for the great tips as well! Lovely! State fairs look so colorful and vibrant.